Taxi Accidents & Limo Wrecks | Brunswick Georgia Personal Injury Lawyers – The Dow Firm, P.C. A “common carrier” – a company in the business of transporting passengers for a fee – must exercise extraordinary diligence in protecting the well-being of its customers. 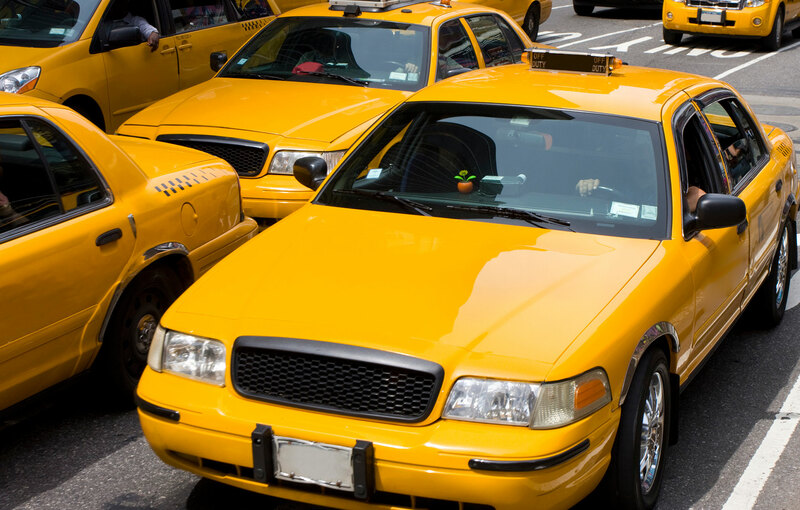 Common carriers such as commercial buses, taxi cabs, limousines, shuttles and passenger vans accept fares from travelers and, in so doing, also accept the uncompromising responsibility to safely transport the travelers to their destinations. In Georgia, state and federal laws govern common carriers. This includes the regulation of common carriers’ drivers’ qualifications as well as the operation and maintenance of the common carriers’ vehicles designed to transport passengers. If you are involved in a wreck involving a bus, a taxi, a limo, a shuttle or a passenger van – either as a passenger in such vehicles or as another motorist, bicyclist or pedestrian on the road hit by such vehicles – you should recognize you have legitimate rights that are unshakable by the common carrier. By law, the public is reasonably entitled to expect that a common carrier will exercise the highest possible care in the operation and maintenance of its vehicles as well as in the training and supervision of its drivers. The Dow Firm, P.C. is proud to offer services and represent clients with taxi accident and limo crash claims in Glynn County (Brunswick, Country Club Estate, Dock Junction, Everitt, Jekyll Island, Sea Island, Sterling, St. Simons Island and Thalman), Brantley County (Atkinson, Hickox, Hoboken, Hortense, Lulaton, Nahunta, Trudie and Waynesville), Camden County (Colesburg, Dover Bluff, Harrietts Bluff, Kings Bay Base, Kingsland, St. Marys, Tarboro, Waverly, White Oak and Woodbine), Wayne County (Jesup, Odum and Screven), McIntosh County (Cox, Crescent, Darien, Eulonia, Pine Harbour, Ridgeville, Shellman Bluff, South Newport, Townsend and Valona), Pierce County (Blackshear, Bristol, Mershon, Offerman and Patterson), Chatham County (Bloomingdale, Garden City, Georgetown, Isle of Hope-Dutch Island, Montgomery, Port Wentworth, Pooler, Savannah, Skidaway Island, Thunderbolt, Tybee Island, Whitmarsh Island, Wilmington Island and Vernonburg) and counties throughout the state of Georgia. The Dow Firm, P.C. is located in Brunswick, GA, however, our firm is able to taxi, limo, Uber, Lyft, and any other common carrier accident cases anywhere in Georgia.